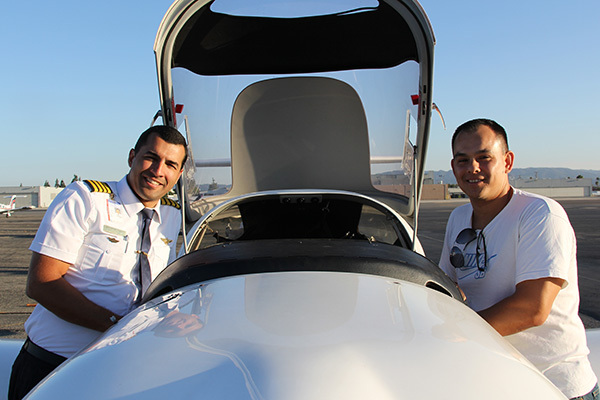 Encore Flight Academy offers complete Private Pilot in Los Angeles, in which the latest technology and innovative techniques are applied to meet your specific needs. A private pilot’s license can take up to 2 to 3 months to obtain, using our Private Pilot Jeppesen Syllabus. Private Pilot License will enable you to fly in unrestricted (day or night) in VFR (Visual Flight Rules) conditions. If you would like to get your Private Pilot License in Los Angeles for personal use Encore Flight Academy is the best place to guide you through the process. At Encore Flight School you will start each day getting briefed in one of our classrooms by your FAA Certified Flight Instructor, on one-on-one basis. 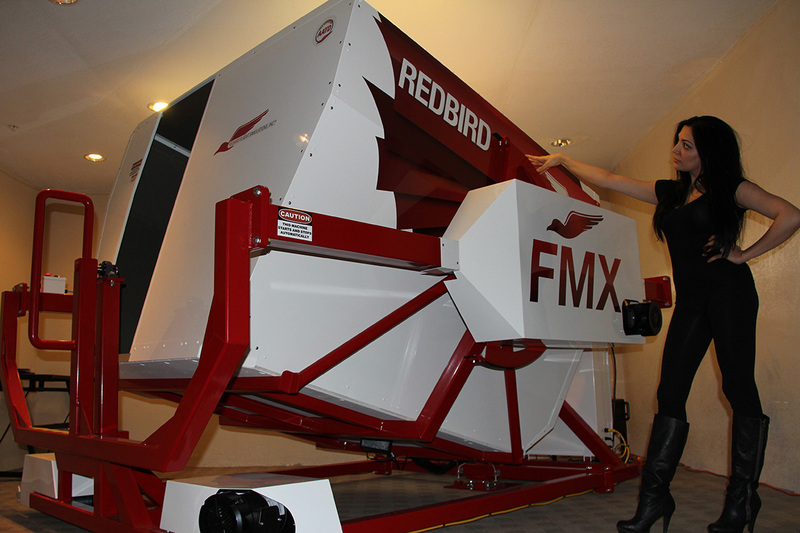 Then you will process to one of our Five Full Motion Flight Simulators to practice the maneuvers briefed is classrooms. 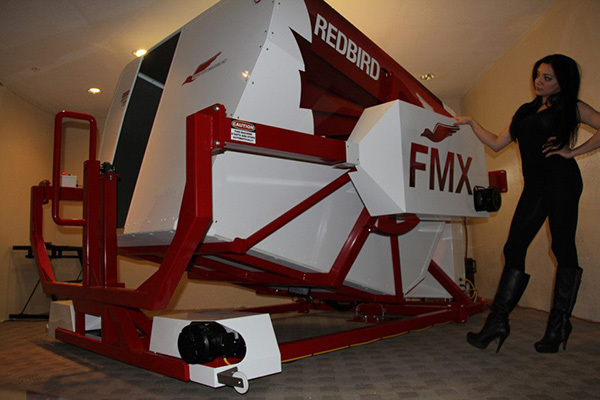 Encore Flight School utilizes Redbird Full Motion Flight Simulators, the best in the aviation industry. Only when you are fully familiar and comfortable with maneuvers and their specific aerodynamics of the maneuvers, then will take you to one of our 25 Aircraft to actually proactive the procedures with the safety of your flight instructor sitting beside you. Contact us today to start your Private Pilot training, we are located at Van Nuys Airport in Los Angeles. Skip LA traffic, get your wings and be your own superhero! After all, only less than 0.1 % off all people all around the world are pilots. Get yourself all around without the hassle of traffic lights, security checks, long lines and all the other countless situations you could get yourself into without your super power of flight. The Private Pilot Program at Encore Flight Academy has total of 35 Lessons according to the syllabus. Each lesson consist of one-on-one classroom instruction, the actual flight lesson in the aircraft followed by the lesson debrief. Each lesson takes about three hours to complete. Most student fly two or three times a week and normally the Private Pilot Program takes about three months to complete. All Private Pilot Packages are completely customizable, student could simply add or take away the amount of hours assigned to each package. PREFER TO MEET US IN PERSON? SETUP A TIME TO MEET WITH ONE OF OUR NEW CLIENT COORDINATORS. What can I do with my Private Pilot License? You can fly during day time, night time, carry passengers or even fly international with you Private Pilot License. Can I rent aircraft with my Private Pilot License? Yes, Encore Flight Academy offers aircraft rental to all our graduate. You will have a 24/7 access to our fleet, with online scheduling. The Minimum program offers the FAA minimum requirement for getting a private pilot certificate. This might be enough flight training for some, however most people require some additional flight training, therefore the Comprehensive program offer total of 50 hours of flight time (10 hour more than FAA minimums). How long does it take to complete the Private Pilot Course? Encore Flight Academy utilizes a complete syllabus for the Private Pilot Course, this syllabus has total of 40 lessons. By attending 2 to 3 sessions a week, most people complete the program in about 3 months. Are there any scheduled classroom sessions? All flight training is done on one-on-one basis, therefore students pick the best time to fly based on their own schedules. Can I do flight training on weekends? Encore Flight Academy is open 7 days week. The flight sessions could be scheduled from 8am until 11pm daily. 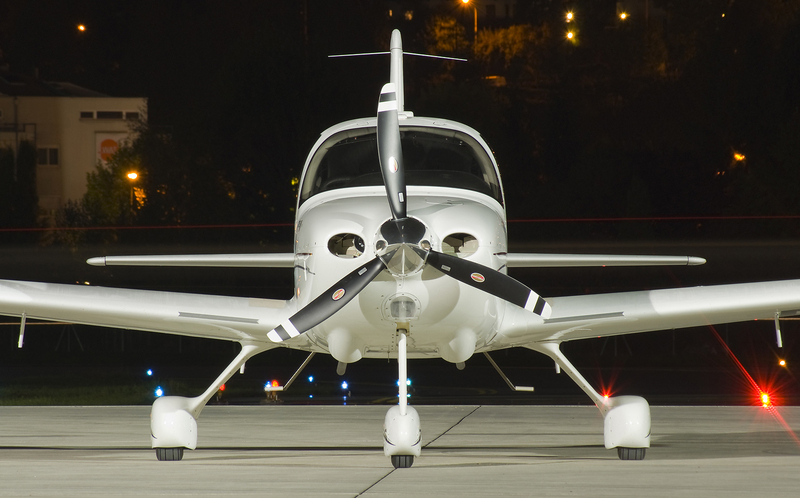 Can I do my flight training at night? You will fly minimum of 5 hours of flight time at night during the Private Pilot Course, since your license will allow you fly at night. You can do more sessions at night time if you like, however it preferred to do most of the flight training during day time hours. What kind of aircraft I should fly? Encore Flight Academy offers several different makes of aircrafts. 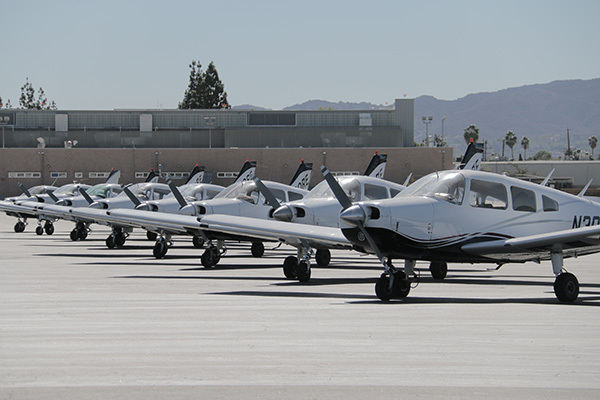 Most student pick one platform as the primary aircraft type, however throughout the course you will fly in all different makes of aircraft to be able to comfortably rent them in the future. Is there a price difference between the aircrafts for Private Pilot Training? No, in any of our Private Pilot Packages, we calculate the aircraft rental rate at $109/hours. Students could change the aircrafts at any time during the course. Can I bring a friend with my during the flight sessions? Yes, most of your training aircrafts are four seaters. You are more than welcome to invite a friend at no additional cost.